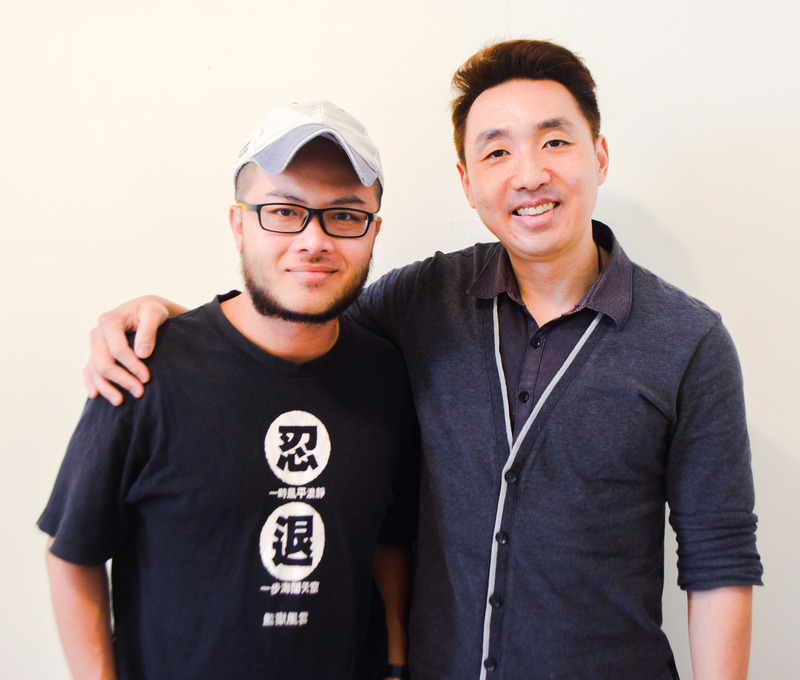 In an exclusive Epoch Times’ interview, award-winning singer and educator Matthew Quek and local film director Kelvin Sng speak about their upcoming micro-film ‘Bu Dao Weng 不倒翁’, which refers to the roly-poly toy. Based on Matthew’s life story about his battle with severe learning difficulties, this micro-film aims to promote the message that the true worth of an individual lies in not how many accolades and credentials one receives, but the kind of person one is, within one’s heart and character. Born with severe learning difficulties due to birth complications, Matthew Quek’s early life had been mostly marked by defeats and trauma. As a result of his dyspraxia and dyscalculia, he had difficulties executing the simplest of tasks. Some of these tasks include tying his shoelaces, learning how to read and write, using dental floss and understanding basic instructions. “I took a tremendously long time to learn. My parents had to go through with me everything step by step – like how to pack my book, how to write notes in the notebook. I just thought I was slow and stupid,” he recalls. Obviously ‘different’ from his peers, he was chagrined when his friends poured scorn on him and mocked him as ‘stupid’. He was indignant at being the subject of ridicule for his slowness until he met two caring history lecturers and three inspirational choir teachers in junior college, who gave him succour and strength to press on. “These teachers treated me as a person, and not as a results churning machine. They saw my moral effort and sincerity, and that’s what really counted to them,” he says. Faced with discrimination and ostracisation, Matthew once wondered whether wicked people do prosper while good people suffer. If that was the case, he mused, he might as well follow the path of the wicked in order to survive. “But as [history has taught us], people in the past who had this kind of motto in life had led themselves into destruction like Adolf Hitler, who believed in Social Darwinism, which meant the indiscriminate elimination of others deemed as inferior [and attempting] to play God, thus leading to disastrous consequences,” he asserts. Soon, he began to ‘find his centre’ in life just like a ‘Bu Dao Weng不倒翁’ – a roly-poly toy that bounces back to its centre every time it falls. “In life, there’ll always be ups and downs. When life throws you around, what is [the central aspect of your moral fibre] that will always bring you back to your main focus and conviction? Because without that, we can easily just bend with the wind – akin to a bamboo tree that sways where the wind blows without much fortitude or steadfastness,” he reasons. He then realised that there is a greater purpose behind his struggles: it has nurtured him to be a more compassionate person who is able to empathise with others, especially those with struggles similar to his. He enlightened on the fact that life is about persevering and helping people, and what’s most important is “what’s within one’s heart”. “It’s not about getting the best for yourself. It’s about helping people; the intrinsic joy you feel in helping people cannot be quantified,” he stresses. “That is why as an educator, besides teaching a skill, I will definitely show my students what is important in terms of character, in terms of the heart,” says Matthew, who is now a history teacher, singer-songwriter​ and vocal specialist. “That does not mean I do not fail, or that I do not make mistakes. But when I do, I try to share with them the vital importance of learning from the times we fall and to come back up stronger and more empathetic, especially if we ourselves have struggled in areas others have before,” he explains. Matthew, who has 14 years of experience teaching in neighbourhood schools, mission schools as well as elite schools, thinks that Singapore’s education system is too results-oriented and obsessed with Key Performance Indicators (KPI). If we could get past superficial aspects like scoring an A, our kids will focus more on the intrinsic quality of the heart, such as compassion and truthfulness, he opines. He feels that we over-emphasise ‘self, self, self’, resulting in a lack of other-centredness – but one’s whole life somehow takes on a different meaning if one is more others-centred. “When you are others-centred, you are more joyful, you’re more easily contented as well, and you don’t take things for granted,” he shares. He also discovered that the most difficult hurdle his students need to overcome is pride. “You can help a person with low self-esteem by showing them, encouraging them. But for a person with pride, it is very difficult. The major obstacle that will keep one from bouncing back is pride,” he says in a sombre tone. 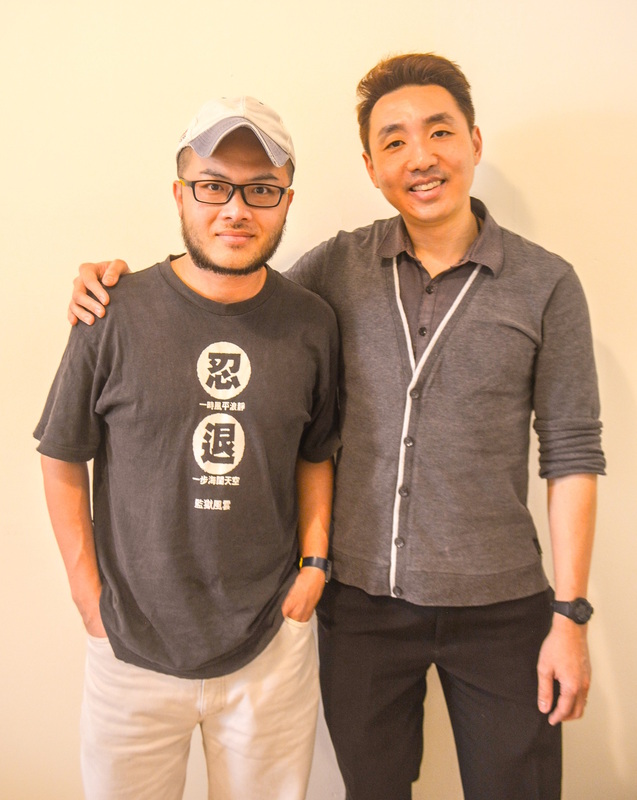 To offer encouragement to families and individuals struggling with learning difficulties and concomitantly raise awareness about the importance of character, Matthew Quek has collaborated with local film director Kelvin Sng to produce a micro-film based on his life story, titled ‘Bu Dao Weng不倒翁’ (‘Roly-Poly Toy’). 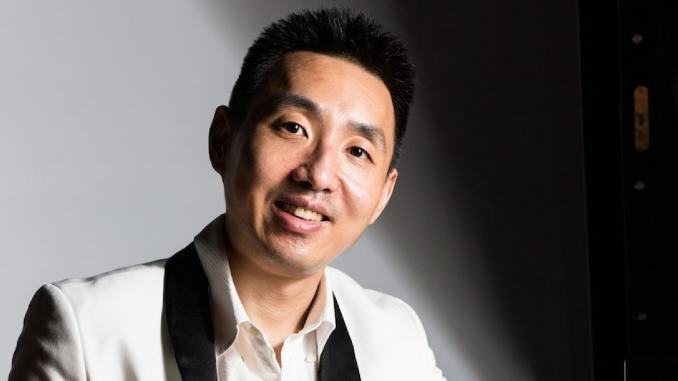 Kelvin is also the managing director of Kelvin Sng Productions. “I first met Kelvin about nearly two years ago, when I was filming a music video called ‘Zero’. I sent him my story, upon which he was quite interested in. We discovered that we have a lot of similar views about how we should be living our life and the importance of values,” he recounts. “I guess what intrigued me first and foremost was Matthew’s personality. I could sense that he has very strong perseverance, that’s very similar to me,” replies Kelvin, the director of renowned local movie ‘Taxi! Taxi!’ starring top comedians Mark Lee and Gurmit Singh, as well as the recent Chinese New Year feature film ‘The Fortune Handbook’, featuring Li Nanxing, Christopher Lee and Mark Lee. Kelvin, who believes in the power of telling inspiring stories through film in a lighthearted way, hopes that the micro-film ‘Bu Dao Weng’ can impact people by making them realise that “amidst challenges, there is always hope”. “Sometimes, the most powerful stories are told in the most humorous ways because people are able to look and laugh at themselves,” says Kelvin, who regards loving people and building trustworthy relationships with utmost importance, far beyond the winning of accolades and awards. “Humour and satire is the best way to bring out these things, without being too serious,” Matthew concurs. 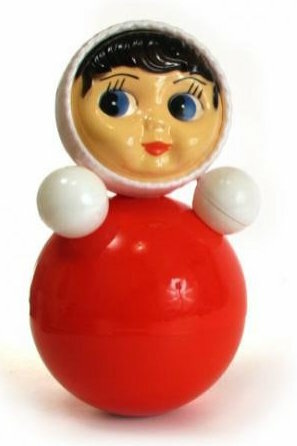 “When you look at ‘Bu Dao Weng’(roly–poly toy), it doesn’t look sad. 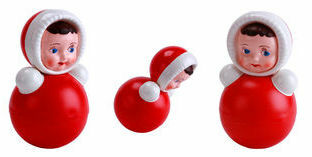 In fact, it looks pretty funny, and no matter how you push it, it will bounce back – that itself is really humorous. That’s life, isn’t it?” muses Kelvin. Besides being the executive producer for the micro-film, Matthew will have a cameo role as well, because ultimately this is his life story, reveals Kelvin. As an educator, he hopes this micro-film will also show Singaporeans that the crux of education should be about inculcating our future generation with values and the development of the qualities of the heart. Education should not be about the obsession with tangible results. “It also serves as an encouragement to these parents as far as society at large, that we stop judging people with these learning difficulties, and learn to be more compassionate and inclusive,” Kelvin posits.